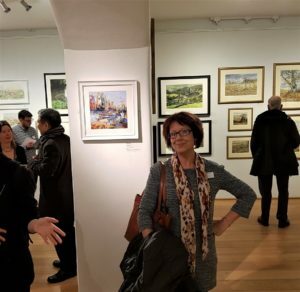 Had a great preview day at the Royal Institute of Painters in Water Colours Exhibition on Tuesday 2 April. I spent a couple of hours in the morning viewing all the amazing art on show and chatting with RI members and other guest artists. Then back again in the afternoon after lunch for the official launch speech by Anthony J. Lester introduced by RI President Rosa Sepple. 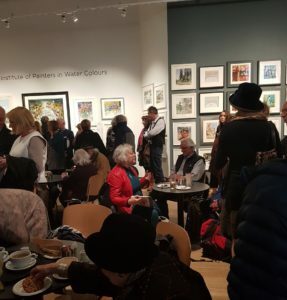 The gallery was positively buzzing with visitors all day and by mid-afternoon the main hall was absolutely packed for the launch and award of prizes. 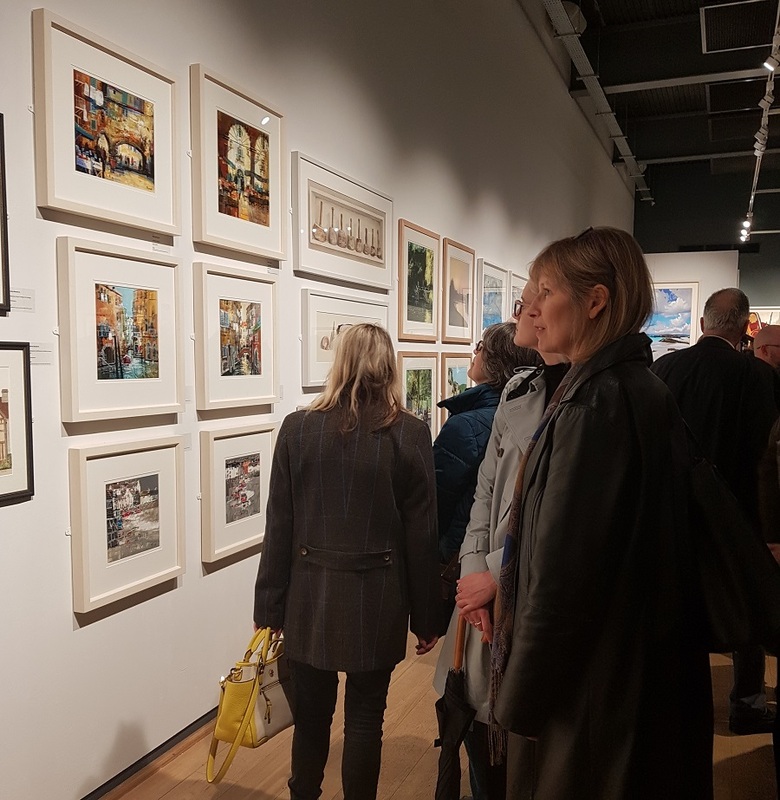 I was thrilled to be part of it all and felt really quite proud to see my painting up there! The next day I took a quick look at the Mall Galleries website and found that my painting had been sold on the first day the exhibition was open to the public! The exhibition is open to the public until 18 April and is brimful of amazing art. 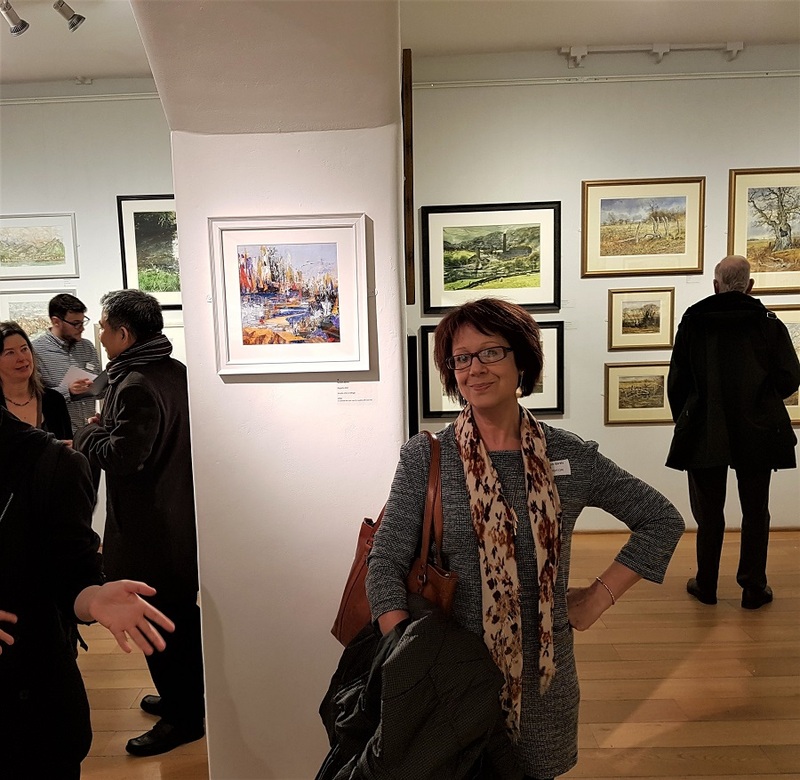 Definitely worth a visit if you’re in London. 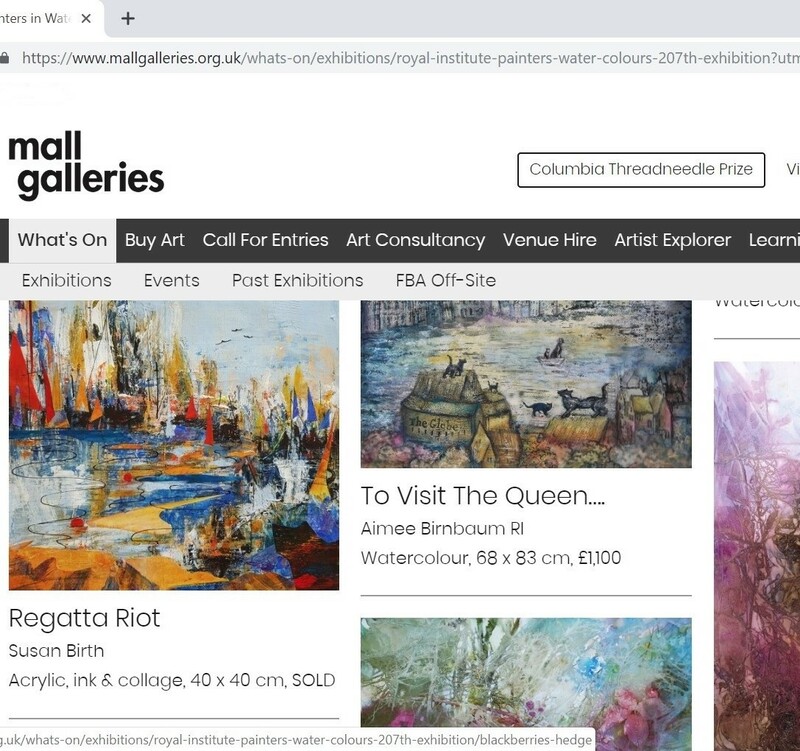 Or visit https://www.mallgalleries.org.uk/whats-on/exhibitions/royal-institute-painters-water-colours-207th-exhibition to view online.